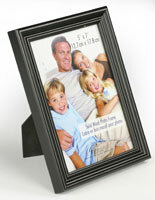 This 8x10 classic black frame with matting features an easel backer with mounting hooks that allows counter/desktop or wall hanging use. 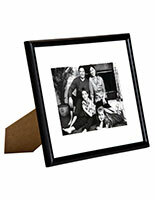 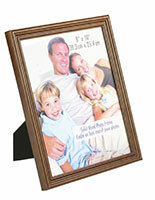 Each stylish photo display is a traditional-looking alternative to digital photo presentation framing. 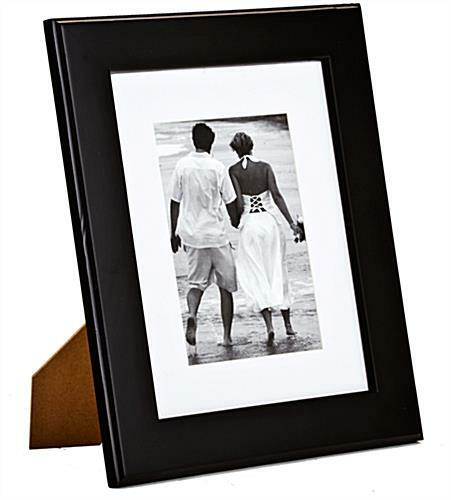 The classic black frame with matting is designed to showcase 8" x 10" matted images but the white mat is removable to accommodate larger photographs. 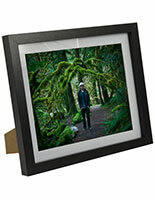 This type of simple fixture is an economical choice for commercial, professional and home use that will complement any environment or contents. 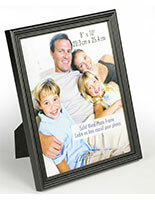 The black frame with matting for 8" x 10" images is a superior way to showcase restaurant menus and specials, service or product information and event info at point of sale locations. 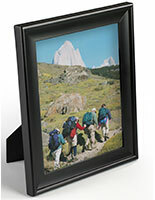 The lightweight construction and stable mounting options make this digital photo presentation alternative a great choice for event or other offsite meeting use as well. 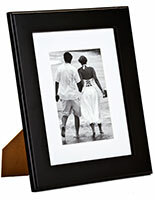 13.1" x 15.1" x 0.5"
Look great even better then the picture on your site.